These were provided by Back Pocket Co at no charge for review purposes. First, some specs. 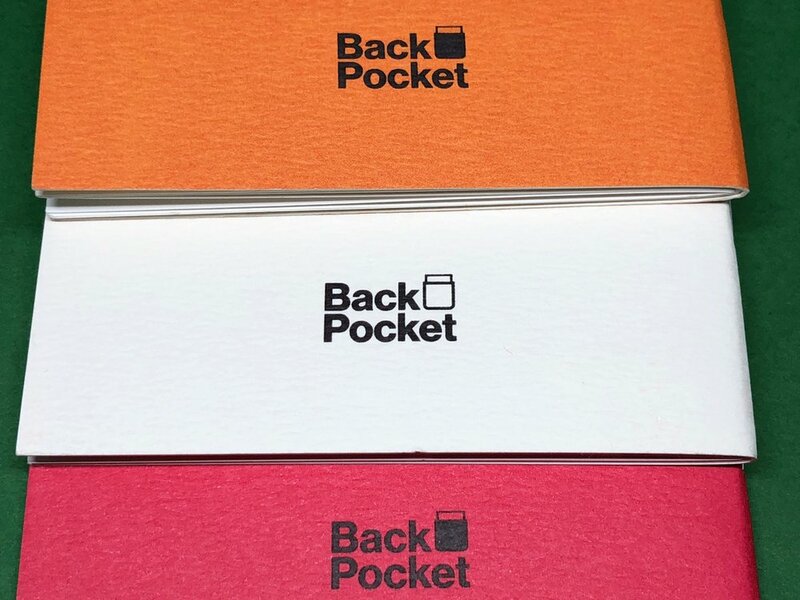 All of the Back Pocket notebooks are 36 pages of 120 gsm paper with what they call "inner cross" grid, which is something of a cross between dot grid and reticle grid. The crosses are so small, they probably look like dots to some people. 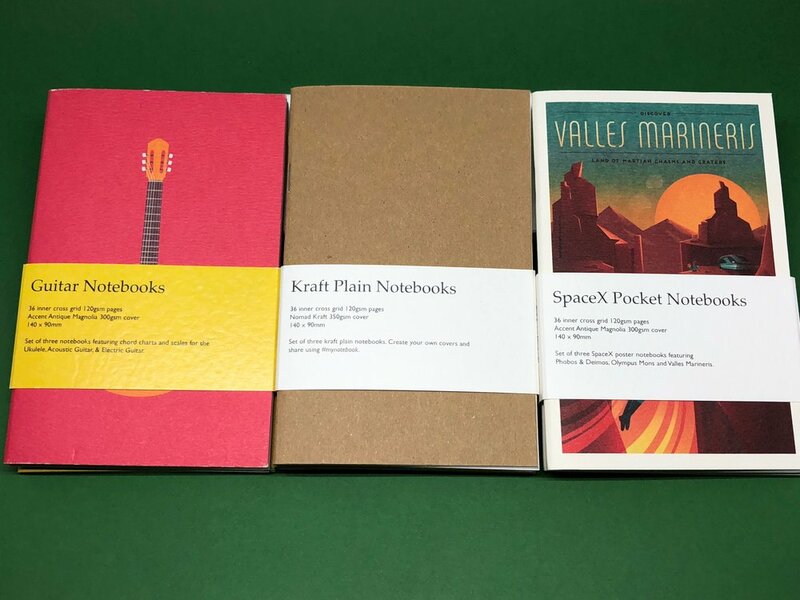 All the covers are thick, 300 gsm (the Kraft is 350). They're bound with 2 staples to hold everything together, and they all feel very sturdy. All of the corners are sharp; no rounding on any of the editions. 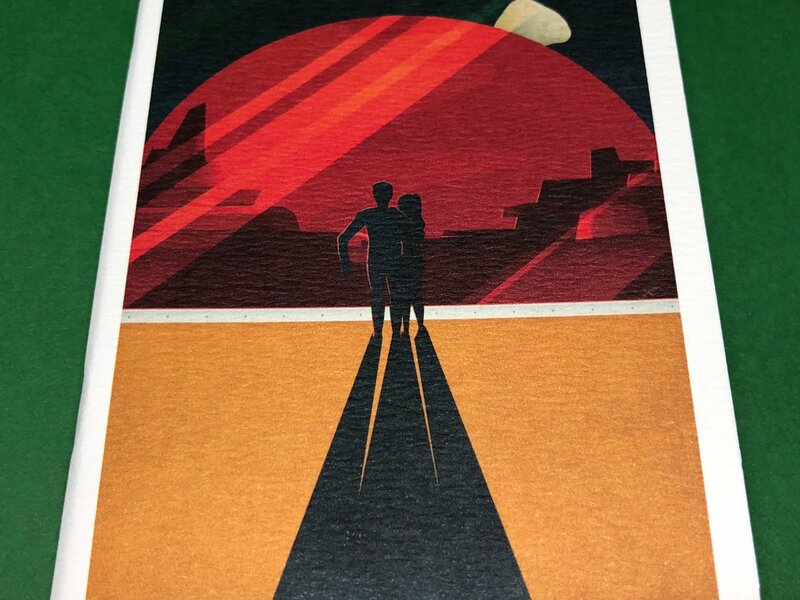 The paper is amazing. 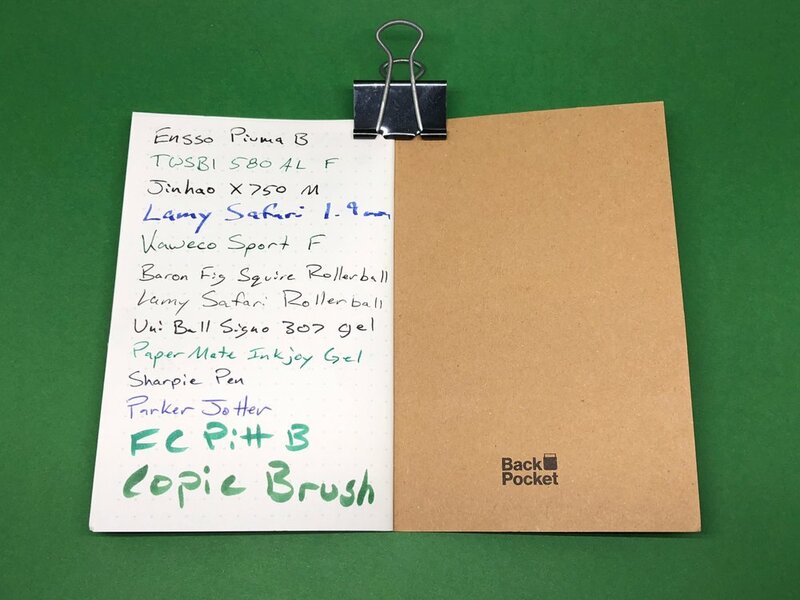 Perfect amount of tooth, great for everything from pencil to fountain pen. Not a bit of show through with the fountain pens I tested. Even the Faber Castell Pitt brush pen didn't show through. The Copic brush pen did, of course, but that was to be expected. While the paper is a bit toothy, it's not so much that pencils find themselves darker than expected. 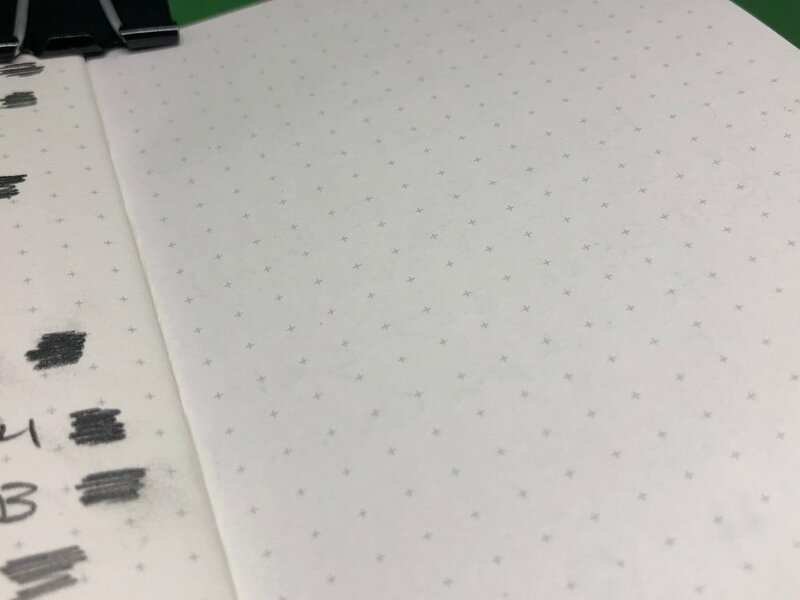 I was actually surprised how nicely the texture treated my pencil points. Major points for this paper. 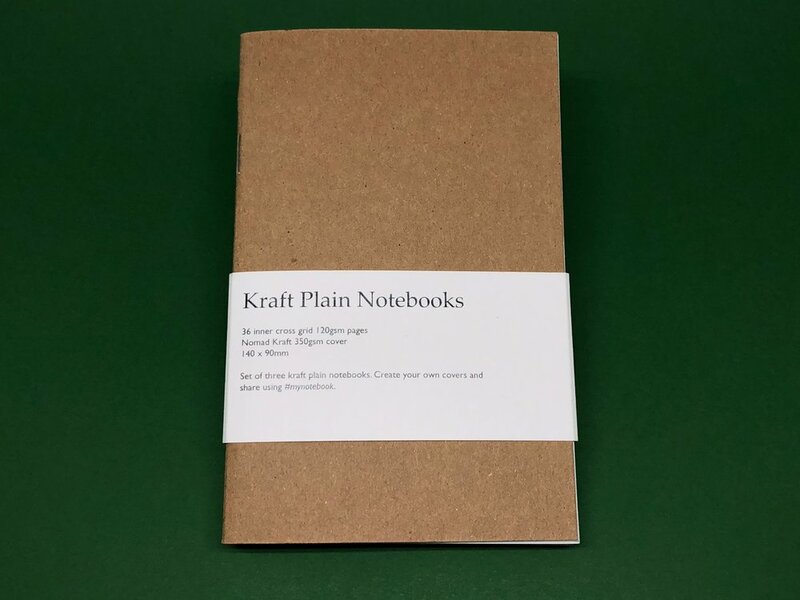 The Kraft books are plain as can be on the cover. They even hide the logo and place it in the inner back cover. The idea is that you have a completely blank canvas to make your own cover designs. I love this idea and am happy that they chose to do what they did with their logo. It's very well-thought out and user-centric. 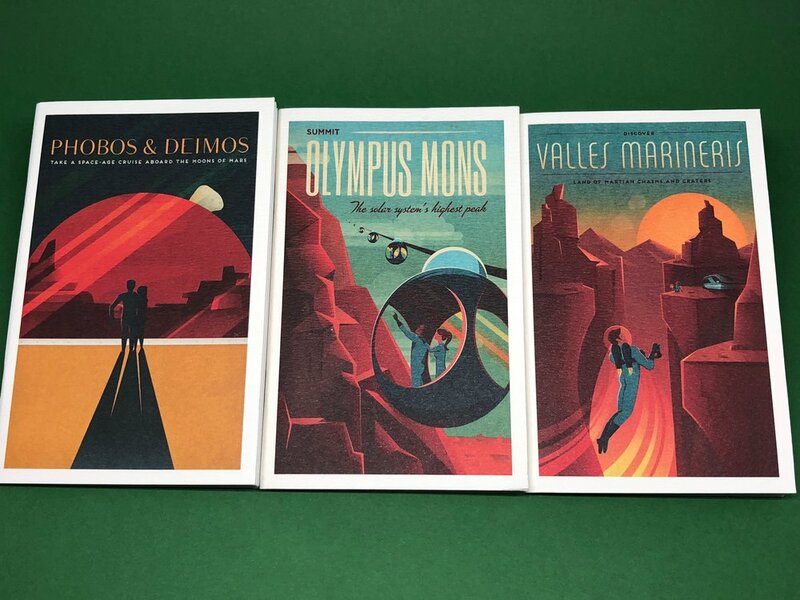 The SpaceX books use the Mars Colonization travel-style posters designed by SpaceX and have a completely open use license. 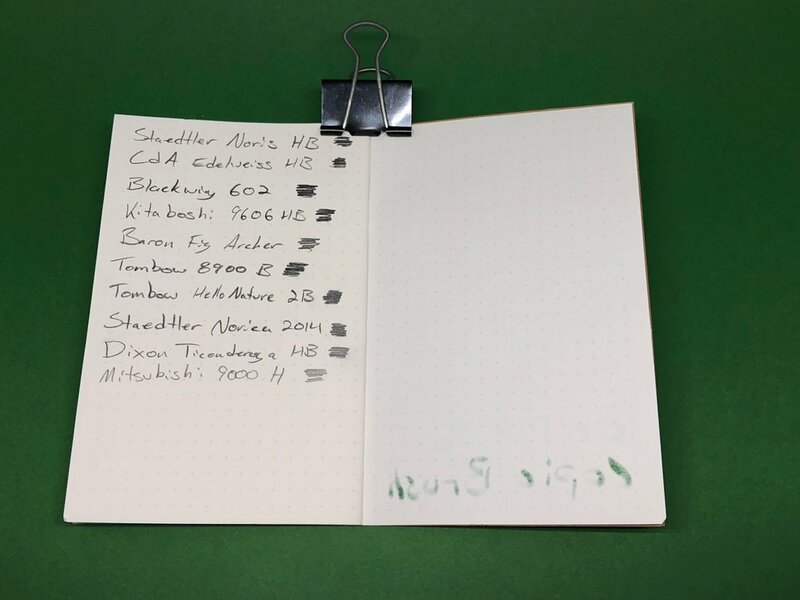 I'm not sure how quickly they grabbed these for notebook use, but they're perfect for it and Back Pocket was smart to do it. Anyone could, but now if they do, it'll be a Back Pocket ripoff. On the inside front covers there is a little blurb about each poster's destination. The inside back cover has a chart of Universal Constants (speed of light, light year, solar mass, etc) and an explanation about the series and giving SpaceX credit for the images. 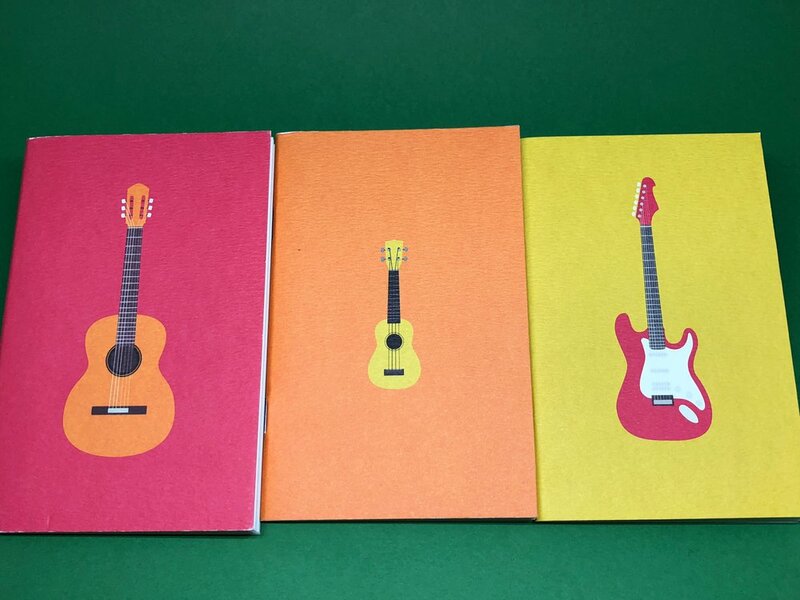 The Guitar books come in 3 different cover colors, red for acoustic guitar, orange for ukulele, and yellow for electric. 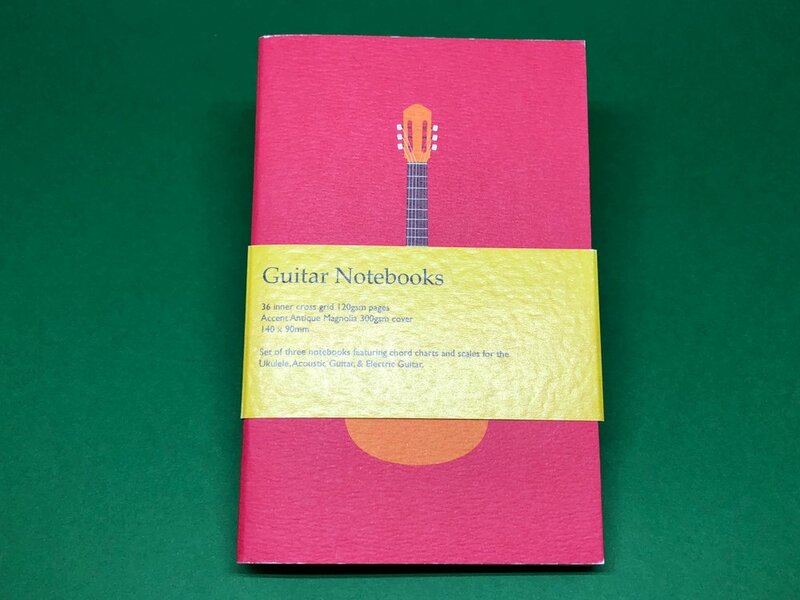 The acoustic book has guitar chords on the inner front cover and a kind of "101" in the back inner cover. Ukulele has chords in the front and different ukulele types explained in the back. 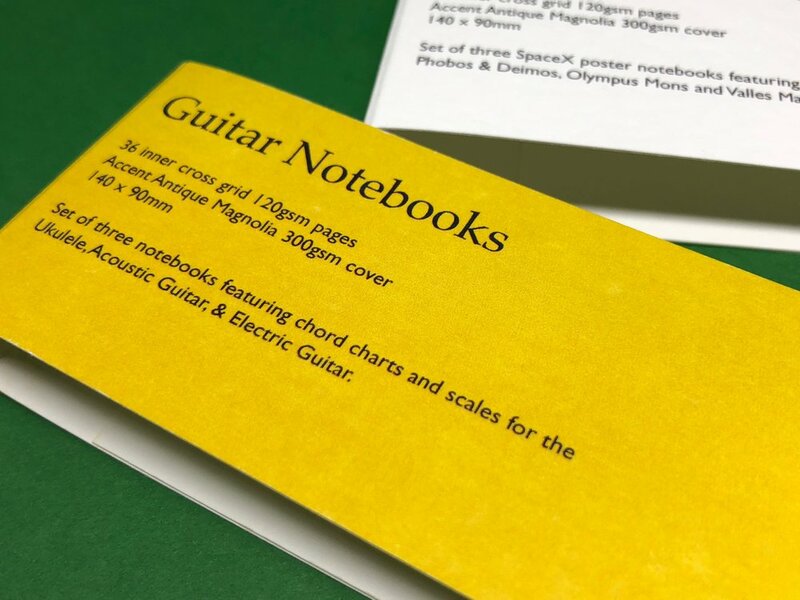 The Electric book features just different scales with tablature maps on where they sit in relation to each other. All in all, a neat little introduction to getting started playing your favorite strummable instrument. 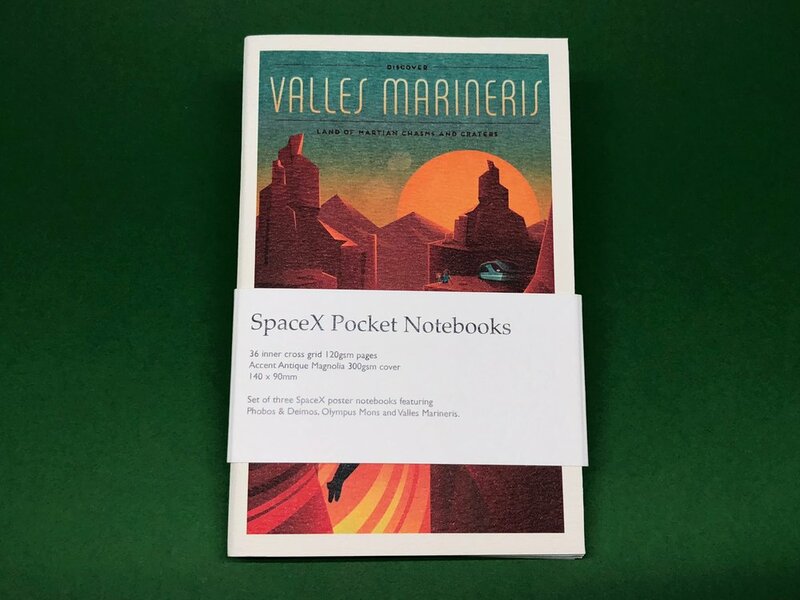 Both the Guitar and SpaceX books are £12, which is just over $16 US. The Kraft is £8, which is just under $11. These prices are at the exchange rate at the time of this posting. It's a tad higher than something we may be used to here in the US, but I would offer that the paper quality definitely makes up for it. 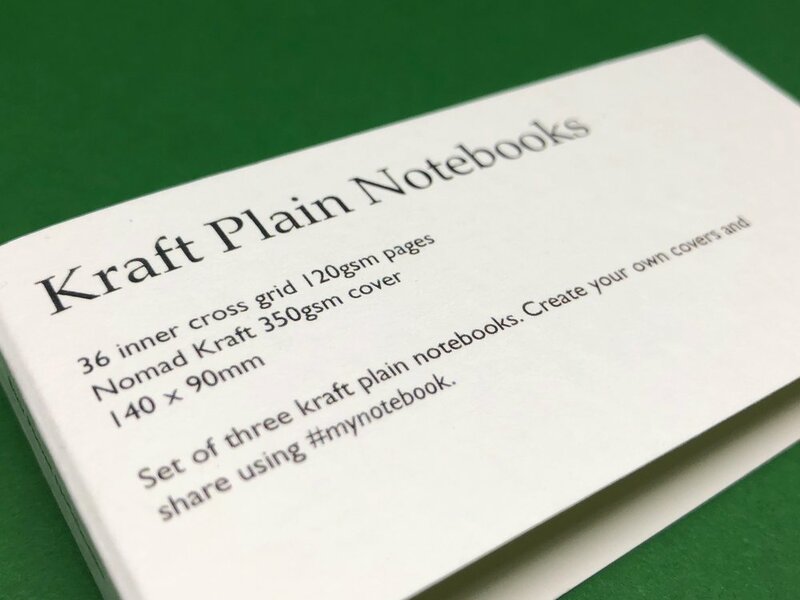 Against a new Field Notes release, which is about $13, the Kraft Back Pocket books are leaps and bounds better, paper quality-wise. These can't be bought from anywhere in the US at the moment, but you can buy directly from Back Pocket.